A warm and enthusiastic welcome to the 16 new residents of the Class of 2023! The new class will begin their training in June 2019. Victoria was born and raised in the Philadelphia area. She attended St. Joseph’s University, where she played three varsity sports and majored in chemical biology and interdisciplinary health services. She continued to Georgetown University School of Medicine, where she served as Vice President of her class, engaged in numerous mentoring and teaching activities, and organized the first ever medical student Kairos retreat focusing on wellness and self-awareness. Victoria is interested in child and adolescent psychiatry, as well as addictions and medical education, and will be a member of our Child Track. Richard grew up in the Dominican Republic and attended medical school in Santo Domingo. After graduation, he received a Fulbright Scholarship to complete a PhD in neuroscience at the University of Illinois at Urbana-Champaign. In addition to his thesis project on cognitive flexibility in depressed patients, Richard also orchestrated one of the first studies of the neurological effects of Zika in Central America. Richard was very involved in Model UN during medical school and later had the opportunity to serve as a Youth Delegate of the Dominican Republic to the actual UN. Richard is an avid baseball fan and a lifelong Red Sox supporter. After working as a professional ballerina with the Miami City Ballet Company and American Ballet Theater in New York, Victoria obtained her Bachelor’s Degree at UCLA in physiological sciences and integrative biology. She attended medical school at Boston University, where she has volunteered in the emergency room providing counseling to individuals with substance use disorders and she conducted qualitative research on the experience of serious mental illness in Ethiopia. 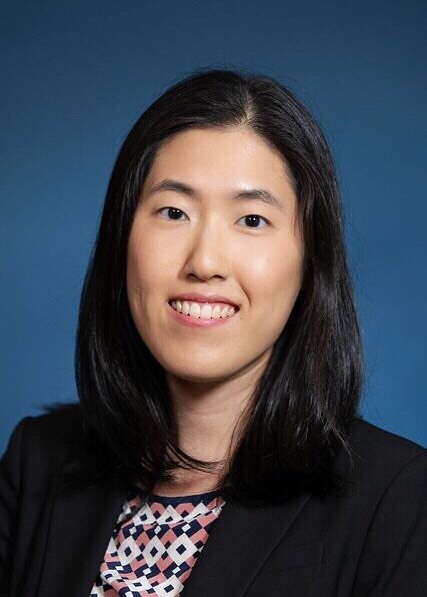 Victoria is passionate about cross-cultural and community/public psychiatry, and is dedicated to serving underserved populations and improving access to care. In her free time she continues to enjoy dancing (and teaching dance), including classic ballet, salsa, and west coast swing dancing. Elliott graduated from Princeton before going on to medical school at the University of Pennsylvania. There, Elliott was very active in local communities, co-leading the CHOP Lunch and Learn program, which taught public health advocacy to high-school interns in the hospital, and representing Penn Med’s LGBT group on the larger Diversity and Inclusion Student Advisory Committee. Elliott is very interested in the interface between medicine and psychiatry, as well as psychodynamic psychotherapy. In his free time, Elliott is an avid runner and tries to ensure he always has his camera with him to take pictures of cityscapes and murals as he runs. Tasha graduated from Harvard College with a dual degree in economics and neurobiology before attending medical school at Washington University in St. Louis. She was involved in several research projects in medical school, including a global health project in Malawi and an investigation into the knowledge of physicians regarding medical marijuana. She was also a founding member of a group that developed and taught courses to incarcerated youth. Tasha is interested in child and adolescent psychiatry and addiction psychiatry. She enjoys hiking and kayaking. Ellen was born in Seoul, South Korea, and grew up in three countries and five cities before the age of twelve, learning to speak four different languages. She attended the University of Pennsylvania for her undergraduate degree in health and societies, and went on to medical school at the University of Massachusetts. In medical school, she was elected to serve as a delegate for the AMA and was a co-writer for an AMA policy on suicide prevention in US correctional facilities. She has performed research on innovative global health education initiatives while serving on her medical school’s curriculum committee as well as the Board of Trustees of the Boston Medical Library. A few of her hobbies outside of medicine include baking, running, group exercise classes, and glassblowing. Ellen is excited about child psychiatry as well as policy and advocacy work, and will be a member of our Child Track. Desta grew up in Washington, DC and Kentucky and completed her undergraduate degree in African and African American studies at Harvard College. She taught high school English in San Francisco and NYC through Americorps before matriculating at the University of Chicago for medical school. Desta is passionate about reducing healthcare disparities for minority communities and working with individuals experiencing homelessness. During medical school she was involved in numerous service, teaching, and research activities, including serving as co-director of a free clinic at a homeless shelter for women and children. Outside of school, Desta enjoys distance running, writing creative non-fiction, a capella singing, and baking. Stephanie was born in New York City, and completed her undergraduate degree in chemistry at Brown University. Stephanie is passionate about current events and policy, specifically education reform, health policy, and criminal justice issues. In medical school, she served as the director of development for the Women’s Health Free Clinic as well as the leader of her school’s health policy interest group. In addition, she completed research investigating associations between childhood traumas and sexually transmitted infections. Finally, she is an avid podcaster, and worked on the social media team for an organization at NYU to produce biweekly podcasts focused on continued learning in internal medicine. She enjoys running, tennis, and photography in her spare time. Celeste was born in South Carolina, and attended college at Furman University, where she majored in neuroscience. After college, she attended Boston University to complete a combined MD/JD program. Celeste is passionate about health policy, state politics, and health law. She has served as the Chair of the Committee on Legislation and Advocacy for the AMA, President of the Global Health Equity Program at BU, and Medical Student Trustee for the Massachusetts Medical Society’s Board of Trustees. 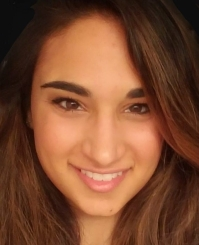 She was a recent recipient of the Rappaport Fellowship from the Rappaport Center for Law and Public Policy, during which she interned at the Massachusetts Health Connector and state insurance exchange. She enjoys spinning, traveling, and collecting miniature tea sets. Ana was raised in the Boston area and completed her undergraduate work at Williams College, majoring in psychology and Latino studies. She served as captain of the Women’s Varsity Basketball team and was named NESCAC All-Academic three years in a row. After graduation she worked on research projects on borderline personality disorder at McLean Hospital before continuing to Dartmouth, where she earned her MD/MBA. Ana enjoys reading, yoga, musical theater, and traveling the world. Her interests within psychiatry include health policy, LGBTQ mental health, personality disorders, and physician wellness. Blake was born and raised in the Boston area. 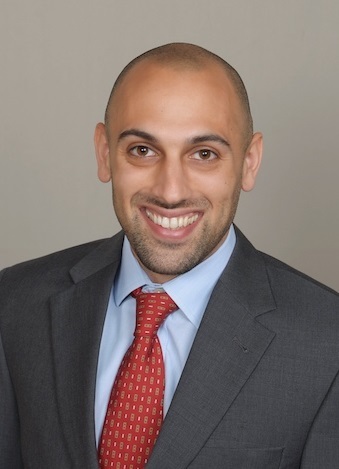 He completed his undergraduate work in psychology and Spanish at Wesleyan University, then worked as a Clinical Research Coordinator at MGH under Dr. Moh Milad. He continued on to the University of Virginia School of Medicine, where he served as a member of the IRB and was deeply involved in teaching and mentoring. Blake was also an active elected member of Aid to Medical Students throughout med school, serving as a confidential peer counselor for his classmates. Blake enjoys squash, tennis, and basketball. Within psychiatry, he is interested in medical education, consult-liaison psychiatry, neuropsychiatry, and mood and anxiety disorders. Diana was born and raised in the Boston area. She graduated from Hamilton College with a degree in government and theater, initially considering a career in theater, before joining the Columbia University Vagelos College of Physicians and Surgeons. While at Columbia, she served as a student leader for numerous courses and was very involved in research related to women's mental health. Specifically, she investigated the need and interest among medical students for formal teaching on the psychological effects of infertility. Diana is interested in student mental health, reproductive psychiatry/women’s mental health, and medical education. Trevor grew up in Tennessee and attended the University of Tennessee for his undergraduate work, where he majored in Biology. He then worked as a fellow at the CDC studying rabies treatments. He attended medical school at East Tennessee State University, where he participated in a rural medicine track and volunteered his time mentoring high-risk youth and pre-college students in Appalachia. Trevor is interested in addiction psychiatry and research focusing on the role of emerging technologies in mental health care. In his free time, he enjoys traveling, hiking, and playing music. Griffin is originally from San Francisco, and he attended UCSD for his undergraduate degrees in biology and Chinese studies. After college, he spent two years living and working at an orphanage in Haiti prior to starting medical school at UCSD. During medical school, he completed a Masters in Clinical Research, for which he spent a year doing qualitative research in South Africa on an emergent heroin-based substance and HIV. In addition to research, in medical school he served as an active volunteer and held several leadership roles in his school’s student run free clinics. He is passionate about creative writing, having authored and produced several original plays as well as a science fiction short story that was featured in Nature. His other hobbies include acting, running, and board games. Hillary grew up in Michigan and attended Michigan State University for undergraduate, where she majored in nutritional sciences. She completed an MD/PhD, also at Michigan State, focusing her research on neural circuits that coordinate feeding and energy expenditure. She also served as President of the Physiology Graduate Student Council. Her TED-style talk on why her science matters won a People’s Choice Award from the Endocrine Society. Hillary is interested in addiction psychiatry and neuropsychiatry and plans to be a physician- scientist. She is an avid runner and also enjoys spending time with her cat.